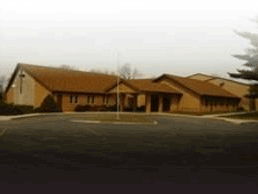 Washington Evangelical Free Church (WEFC) is a Bible centered church that is serious about spiritual growth. We are a friendly congregation concerned with the spiritual growth of our membership as well the spiritual condition of all people outside of our walls. We foster a strong relationship with God and His Word and want to show that love to others. We demonstrate this by our outreach programs not only for our own, but also to those outside our membership. Washington Church has an outstanding AWANA program, which has seen many children come to Christ. We also have a Youth ministry and Connection Groups throughout the week. 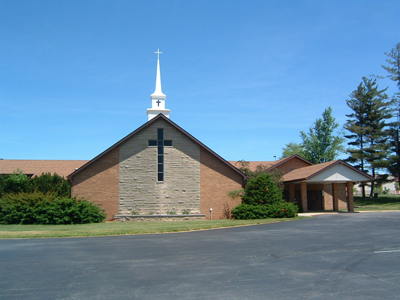 Our Sunday School begins at 9:00 A.M. and Worship Service begins at 10:00 A.M. SO, DO YOU HAVE ANY QUESTIONS? The “evangelical” of Evangelical Free reflects the assertions that the scriptures are the inerrant word of God, people are born into a sinful condition, and salvation comes through the death and resurrection of Jesus Christ, as well as a commitment to spreading these beliefs. They also believe in the premillennial return of Christ, the bodily resurrection of the dead, and the celebration of water baptism and the Lord’s Supper. The “free” means that EFCA churches are congregational in governance. Each church is governed and financially supported by its own members. This is as opposed to being ruled by a presbyter, or board of elders, or an episcopate, which is a central leader over several churches. Although EFCA churches typically have a senior pastor and a board of elders, the pastors and elders receive their authority by the vote of the congregation. Our Worship service offers a blend of hymns and contemporary songs with piano accompaniment, keyboard, guitars and drums. As a visitor, will I feel lost or uncomfortable? Absolutely not – The bible tells us to love our neighbors as ourselves and at Washington Church we will make you feel very welcome and at home. Even if I don’t believe as you do, am I still welcome? Washington Church is a bible believing church believing in the verbal inspiration of the scriptures. Regardless of your personal beliefs, you are very welcome. Do you offer anything for children during church? We offer a Preschool Aged Room during Worship time, and also have a Children’s church for kids K - 6th grade. During the Sunday School hour at 9 AM, we are currently offering 2 classes for children,1 adult class and a place to just pray for others. What other ministries are offered? Washington Church has a youth group called the ‘Restored’ which meets Sunday evenings at 5 pm. There are connection groups / bible study which meets throughout the week. Men’s and Women’s functions plus great ‘pot lucks’ after church throughout the year. Please see the tab labeled ‘Ministries’ for more detail. Are there any refreshments available? Yes, Light refreshments are available to all every Sunday before the 10 am service. Also, many times throughout the year, we have a potluck lunch after the Sunday Service. This is a great time for fellowship among all attendees.